Yes, that is correct. But that was only because Takahashi-san has always been good at drawing. Takahashi-san was originally a graphic artist, wasn’t he? That’s why he just couldn’t get excited about the idea of using this software to learn how to draw properly. He saw how fired up you had got about it, but just couldn’t relate at all. No, I wouldn’t say that... Well, it was more to do with the fact that you were so enthused about it, which made me conscious that perhaps I should be taking a step back. But at the same time, seeing how excited you were made it clear to me that this idea really had something. Back then, Terasaki-san would show me a new picture every single time we met and if we hadn’t met for a while, I would get regular email updates with his latest work attached. I have no doubt you were shown a lot of pictures as well, Miyachi-san. Did you have anyone who embraced it in the same way as Terasaki-san at Headstrong Games? Indeed we did. There was a team whose job was to assess the prototype version and every time I walked past them, they would be showing off their latest efforts. That’s not something that’s happened with any of the previous games we’ve worked on. What do you think it is that makes people so keen to show off the pictures they have drawn? There are plenty of people who study drawing when they are young but then, after leaving school, they assume they’ll never need to draw pictures again and just give up. The idea of this software is to reawaken that ability to draw that you’ve always had lying dormant. You’ll then realise you can actually do it and end up being really taken aback by how well you can draw, so you’ll be desperate to show off to everyone around you. Yes, I think that’s exactly right. What we originally set out to achieve with this software was to inspire people who had made up their minds that they couldn’t draw and that they’d never be artists, and make them think that it might actually be possible. That’s why an artist like Takahashi-san had no need for it. Now we’ve heard about how development on Art Academy got under way. When it was then released here in Japan, users would post all kinds of pictures on the internet. Right. There really were a lot of pictures online. I was really taken aback by the quality of a lot of those pictures. Then just after I’d seen those pictures for the first time, I went to Europe on a business trip. I was in a meeting with the marketing department when I announced to the room that there was something really interesting happening in Japan, and put up all these pictures on the projector. Then as a result of that, some people in Europe started to take note of this product. 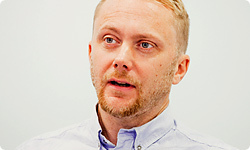 Nicolas Wegnez5, the director of marketing at Nintendo Iberica, was particularly keen and ended up just like Terasaki-san. Ah, yes. That’s right! (laughs) Like me, Nicolas had always believed that he had no artistic ability. 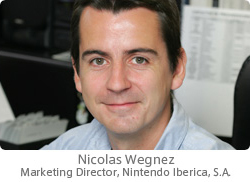 5 Nicolas Wegnez: The head of the marketing department at Nintendo Iberica, responsible for planning and executing advertising campaigns in Spain and Portugal. 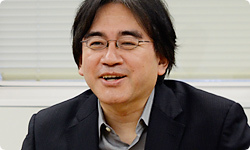 After downloading the original Art Academy Nintendo DSiWare titles, he realised he could actually draw – or at least that it was fun to learn – and was a key figure in promoting the Nintendo DS title. In fact, as a result of Nicolas discovering the fun of drawing through Art Academy, everyone working in the Nintendo Iberica office became fans. They even managed to persuade the people in charge of the Thyssen-Bornemisza Museum6, a famous gallery in Spain, to host an art class using Art Academy. 6 Thyssen-Bornemisza Museum: An art gallery located in a converted palace in Madrid. Works by artists including Picasso, Renoir and Van Gogh are displayed there. It was widely reported on the news. To have a nationally-renowned gallery using a game console to give art classes to visitors was quite simply an unprecedented event. 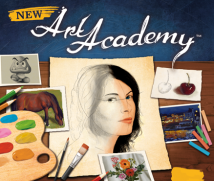 And as a result, Spain became the first country in Europe to really get behind Art Academy. The United Kingdom was a little slower to come round, but it ended up topping the charts there too. That’s right. It became very well-known in the UK and when I would mention to people that I’d worked on it, they’d tell me that they knew it, or that their daughter loved it, and things like that. That made me really happy, as it brought home to me the fact that we’d managed to get all these people creating pictures of their own. The game was very different in nature from titles that you’d worked on up to then, wasn’t it? Yes, that’s right. We’d originally all been really into shooting games and action games, but I ended up feeling very glad we’d created Art Academy as it was something where the more you put into it, the more you’d get out of it, and you could see you artistic abilities improving. Nicolas from Nintendo Iberica was a really great example of this, as he ended up actually going to a drawing class. So Art Academy opened his eyes to the pleasure of creating art. Yes, it did. I even heard that he’s actually painted all of the pictures from Art Academy’s lessons and mini-lessons in real life, on actual canvases. When you hear something like that, you must feel an immense sense of pride as the creator of this software. Yes, I’m incredibly happy about it. To think that it has made the leap from the screens of Nintendo DS to an actual gallery and that people have been inspired to go to actual art lessons... This was everything we hoped for when we made the title.